Exclusive Desk:Try to extend your creative power for doing something different. Don’t allow back bites. Go ahead on your process. Just you need to keep on stimulating your thought process. 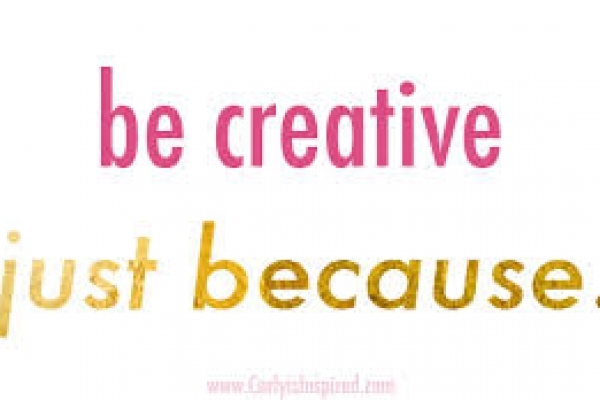 People who are highly creative always look or do things differently. They don't follow the beaten track. They are curious to begin with and they love to play with their imagination. 01. Keep on creating: The process of creation is very important. Don't call it quits. Just keep on creating. You need to keep on stimulating your mind and thought process. No great piece of writing or art came just like that. If you wait for the perfect idea or moment, you'll wait forever. You have to find time for your creative pursuits. Don't wait till you will have 'more time' to give a shape to your creative urges. 02. Trust your intuition: Believe in your instinct. The modern mind puts too much emphasis on logic and rationality. We just have to trust our intuition and listen to it. We are all intuitive. Unfortunately, technology has made our life so very easy and in many ways, it has also resulted in lessening the power of imagination. We need to trust our instinct and let our imagination flow. 03. Be inquisitive: Curiosity is the most important element for unleashing your creativity. Be curious about your environment, people, places, cuisine, nature and the like. Ask questions. You can ask questions only when you are curious. Retain the child in you.